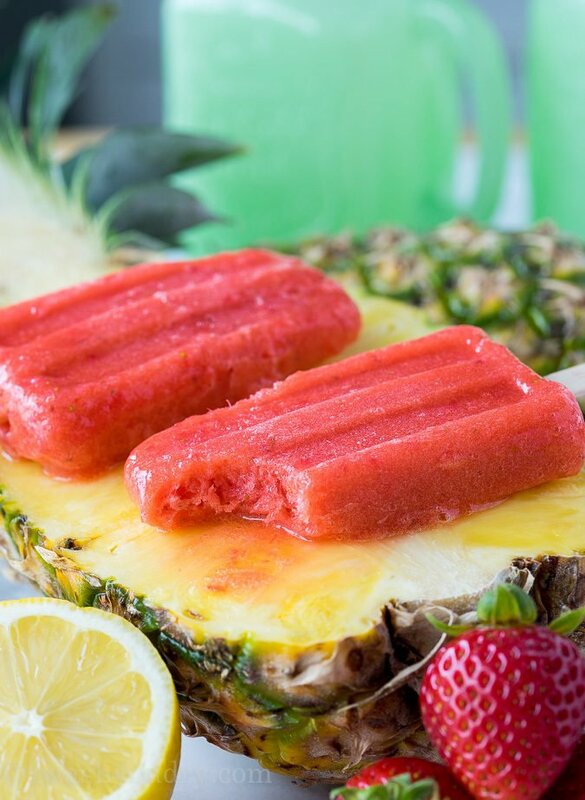 Strawberry Pineapple Popsicles are made with simple, pure ingredients and are super refreshing and delicious! 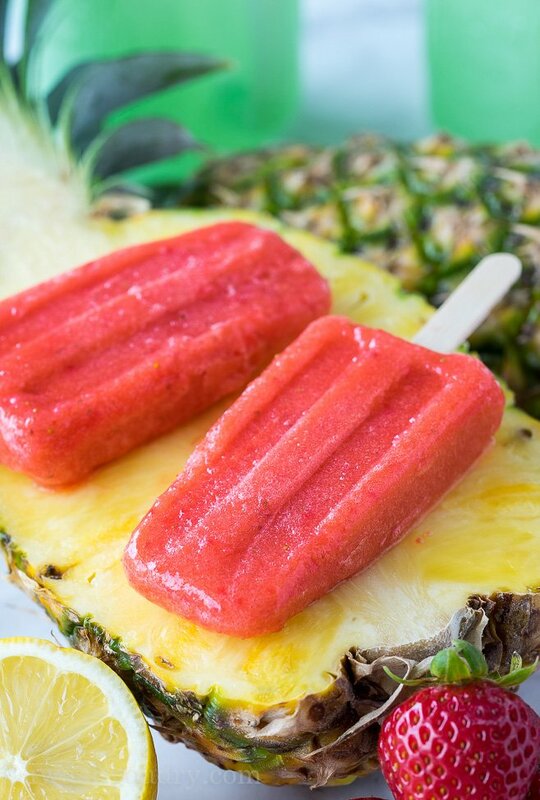 Strawberry Pineapple Popsicles are one of my favorite summer treats to make with the kiddos! It’s getting super hot here in the desert. Every year I seem to forget how hot it actually gets. It’s like I get heat amnesia, which is probably a necessity for living in the desert… otherwise nobody would ever actually live here. We try to stay cool by going swimming, running in the sprinklers, going to the car wash (over and over again) and also eating our weight in popsicles. You can only imagine how many popsicles we go through here with 4 very active kids. That’s why I love these Strawberry Pineapple Popsicles so much! 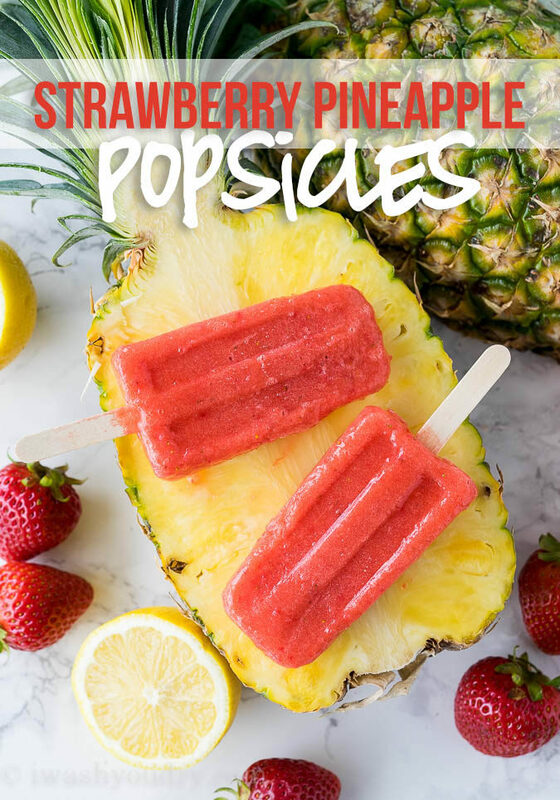 The only ingredients are strawberries, pineapple, lemon juice, and sugar! When pineapples go on sale I always buy a few to stock pile these popsicles in my freezer. 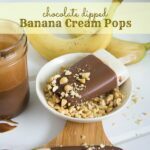 My kids LOVE them and they’re super easy to make. 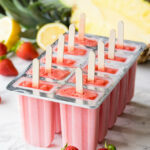 I just toss all the ingredients in the blender and pour into the popsicle molds. If my popsicle mold is full, I’ll also use small paper cups with the popsicle sticks inserted in the middle. Try mixing up the berries and pineapple for different flavor varieties! Use up those cheap summer fruits to get a good variety of popsicles! 1 lb. Strawberries, stems removed. 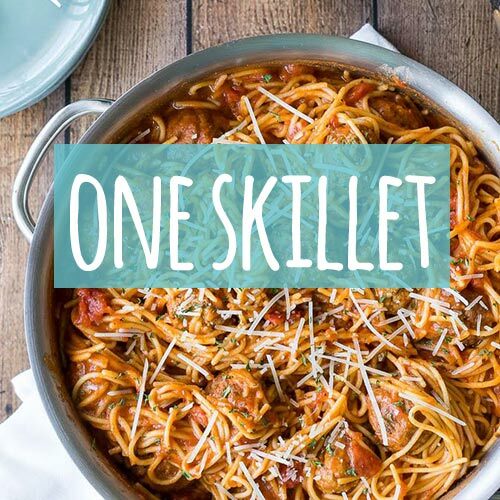 Combine the ingredients above in a food processor or blender and pulse until the fruit is smooth and no longer chunky. 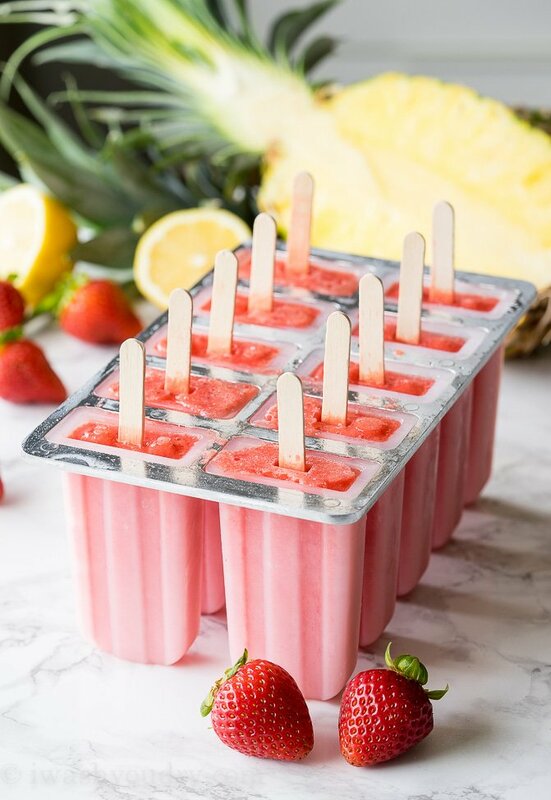 Place Popsicle molds or 12 (3oz) cups on top of a baking sheet that can fit into the freezer. 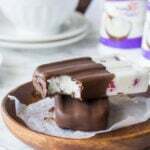 Pour mixture into Popsicle molds or into paper cups, and stick a Popsicle stick into the center. 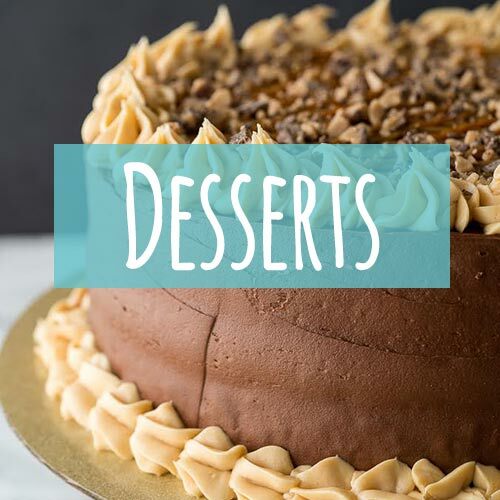 Carefully place the baking sheet into the freezer for at least 3-4 hours or until the mixture is frozen solid. To eat, remove from freezer and leave on counter for 1 minute, then gently pull on stick to remove the Popsicle from the cup. Enjoy! Has anyone tried canned chunked pineapple? If so, did you drain the juice in the can or use it instead of adding sugar? If you use the canned pineapple I would drain it and add less sugar to the recipe. Ok thank you! I’ll try to post if I get it done. This is definitely easy to make and i know my daughter would love it. I would try it out. Thanks for sharing. Yum! I may just make these for my kids today. Oh, I don't think it will have time to collapse.. Wonderful idea! Hi Shawn-It was so nice meeting you at camp. 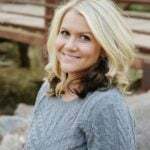 I didn't realize that you have 4 kids. My youngest daughter has 4 also. You girls are nuts…ha!! For the record, 4 is A LOT more than 3 and I admire you both for still having hair AND a sense of humor. 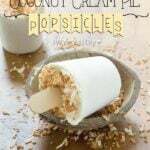 These popsicles look yummy-I'm going to stick a link to your post on Jenna's FB page now!! Thanks! They are a perfect treat on a hot day! You should just make a trip and enjoy mine! That would be too fun! Those look so yummy and refreshing. A perfect summer treat. We soooo need one those above ground pools! and the frozen treats to go with it! These are so cute … Great Job! Swimming sounds sooo good right now, but our public pool is way too crazy to be relaxing. These popsicles look like the next best thing. I love both strawberry and pineapple and they look so easy to make. Perfect!